After updating to kernel 4.12.14-lp150.12.25-default my qemu Windows 7 guest boots into a bluescreen. When I boot my Leap 15.0 installation with the old kernel (Version 4.12.14-lp150.12.22-default) the win 7 guest boots without problems. I have also a Win XP guest which freezes while booting with the new kernel and works fine with old one. Removing the -enable-kvm option lets the windows guests boot without failure with new kernel, but they are very slow as expected. No idea but same problem here with Leap 15.0 and the new kernel. I have two guests (Centos 7 and Windows Server 2016) and both fail to start after reboot with the new kernel The Centos guest shows the boot screen but hangs after this - didn't try seeing what happens with the windows guest. Booted with the old kernel 4.12.14-lp150.12.22-default and the two VMs also start OK here. Didn't try the combination new kernel and removing the "-enable-kvm" switch. I'd also ask if there is a reason why you're running qemu-kvm instead of kvm proper. AFAIK if you don't have a particular reason to be running qemu-kvm, kvm proper should perform better... but who knows, perhaps technology progressed far enough there shouldn't be much of a difference anymore. There is nothing strange in the bootlog nor in the systemlog while booting the windows guest. I will take a look into the the documentation you provided. May kvm will do a better job for me. 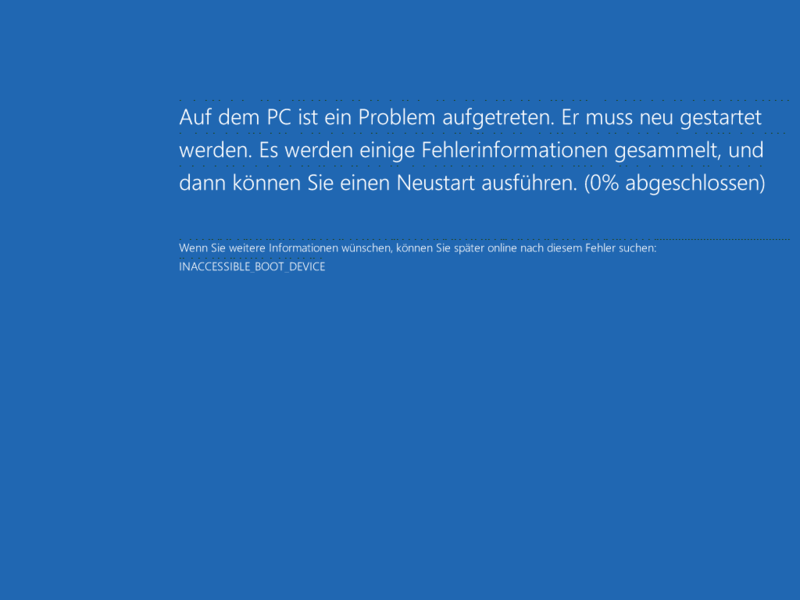 Windows client is booting into blue screen with new kernel ("boot drive/partition unavailable" or something similar). Returning to previous kernel all is fine. I could post the XML dump of the VM but I don't see how to append files (below it says "you may not post attachments"), or should I include the full text (140 lines) in a post? I'd also recommend you submit a bug to https://bugzilla.opensuse.org and include a link to this Forum thread. You should include your method of managing your vms (eg command as the @OP posted or if you're using libvirt) and whether you're running KVM or QEMU-KVM. I did not create/start my VM by a command line. I just enabled KVM in yast and created the VM with the graphical tool included in openSUSE and set it to autostart. The settings from the command line like MAC address are in my case in the XML I posted. I assume this uses libvirt but am not sure to be honest. So the VM starts whenever I boot my openSUSE server machine. And I can start/stop the VM manually by "virsh start win2k12r2" and "virsh shutdown win2k12r2". I'm pretty sure some info from the Windows bootlog would be important to understanding what might be necessary to fix the problem. In Windows, this information can be found in the Event Viewer. Ok, but I have to re-create this when I have spare time. Because when the issue happened I not only reverted the openSUSE machine to the previous kernel but also the VM virtual HDD to a backup of the day before. As I didn't know at first what was the cause for the blue screen I tried to avoid running a probably damaged windows image. So the event logs from the crash are not in the currently running image (if there were entries at all, as the blue screen told about missing/inaccessible partition or drive, so perhaps windows couldn't write event log entries of the problem to the "missing drive" at all). When I find time to force the crash again I look for event log and post it here. As the VM is 24/7 a windows software update server (WSUS) for >50 clients I have to try on a weekend or holiday. Today I did the test. As there was a new kernel 4.12.14-lp150.12.28-default (beside other updates, one for qemu) after a backup I tried with the new kernel. Same issue like with .12.25, the VM didn't boot. After changing grub config back to boot older kernel 12.22 the VM came up again. All other packages remained updated to the latest version. In Windows event viewer (eventvwr.msc) of the vm guest there were no entries for the failed boot. Obviously because the virtual disk couldn't be accessed on boot there also error events could not be saved to the inaccessible drive.